There seems to be no end to the information in the 5 May 1904 edition of the Willshire Herald, William G. Hoffer, publisher. Not only were there personal items and business ads from Willshire, a few other local communities were mentioned. Farm produce a specialty—cash or trade. Our wagon is on the road every day except Saturday. We pay the highest market price for produce and poultry, and meet all competition on goods we have to sell. Can fill any special order in any line. I did a little research to find out a little about the store’s proprietor, Herbert L. Hileman. 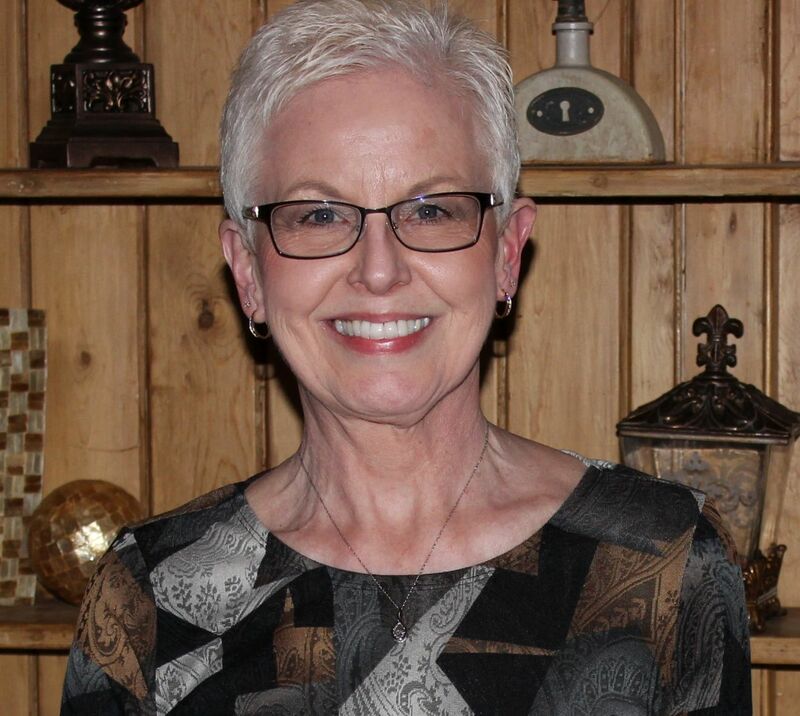 A person I knew! I remember Herbert’s son Archie Hileman. Archie was my school bus driver when I was in grade school at Willshire. I remember him as being a very nice man, who on the last day of school took a little detour from the normal bus route and drove to the Frosty Zip in Willshire, where he bought all the kids on the bus an ice cream cone. What a treat for all of us on a warm spring day, the last day of school. He was the best! Archie passed away in 1974 and is buried in Willshire Cemetery. 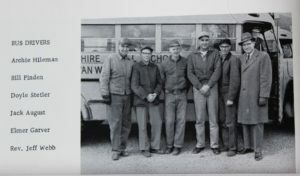 Below is a photo of the Willshire school bus drivers in 1960, when I was in the second grade. My bus driver Archie Hileman is on the left but I also knew Doyle Stetler and Jack August. Jack August was from Chatt and he was also our TV repairman. 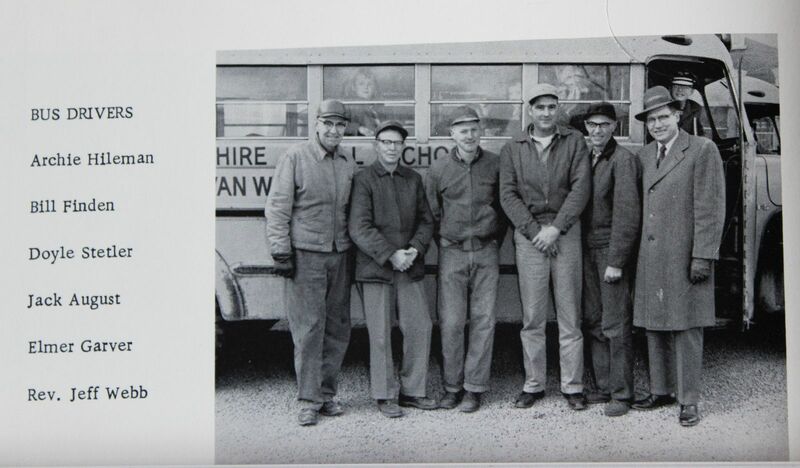 Willshire school bus drivers, Archie Hileman, far left, 1960. Back to the Schumm Store. It appears that Henry Schumm ran the Schumm Store in 1900 and was the postmaster there, too. Having both positions at the same time seemed to be common in other small villages as well. William A. Colter was appointed postmaster 23 September 1903. 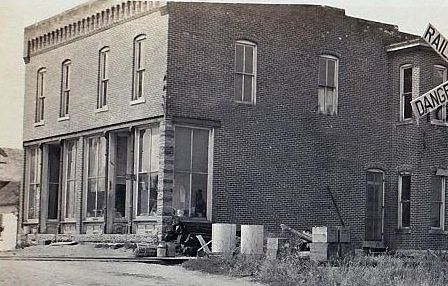 Herbert Hileman was appointed postmaster at Schumm on 18 June 1904 and probably began running the Schumm Store at same time. The Schumm Store had a huckster wagon and maybe Herbert drove that, too. Brick building that once stood by the railroad tracks in Schumm, Ohio. Schumm Postmasters, Herbert Hileman, 1904; William Tickle, 1905; George Weinman, 1916. Schumm Postmasters, Henry Schumm, 1886; Wm Colter, 1903; & Logan Wolfe, 1906. Such interesting histories about these little towns. 1880 U.S. Census, Willshire, Van Wert, Ohio, ED 154, p.28 (penned), family 256, H.E. Hileman; digital image by subscription Ancestry.com (https://www.ancestry.com/search/collections/1880usfedcen/ : viewed 10 Apr 2019). 1900 U.S. Census, Willshire, Van Wert, Ohio, ED 97, p.8, dwelling 156, family 170, Herbert Hilerman; digital image by subscription Ancestry.com (https://www.ancestry.com/search/collections/1900usfedcen/ : viewed 10 Apr 2019). 1910 U.S. Census, Willshire, Van Wert, Ohio, ED 114, p.1A, dwelling, family, H.L. Hileman; digital image by subscription, Ancestry.com (https://www.ancestry.com/search/collections/1910uscenindex/ : viewed 10 Apr 2019). U.S. Appointments of U.S. Postmasters, 1832-1971, Vol. 79, 1891-1930, p.576; database, Ancestry.com. Find a Grave sources: Find a Grave memorial no. 91867047, Harvey Ervin Hileman, Woodlawn Cemetery, Van Wert, Van Wert County, Ohio. And Find a Grave memorial no. 146910401, Herbert L. Hileman, Willshire Cemetery, Van Wert County, Ohio. And Find a Grave memorial no. 144825191, Ada A. (McClure) Hileman, Willshire Cemetery, Van Wet County, Ohio. And Find a Grave memorial no. 147026093, Archie C. Hileman, Willshire Cemetery, Van Wert County, Ohio. I absolutely love reading your articles and I’m not even from that area. Thank you for taking the time to save and share history! Well, thank you! I am so glad you enjoy the posts and it is nice to hear that others also enjoy the local history. It certainly is worth sharing and saving. Thanks for reading and for writing!